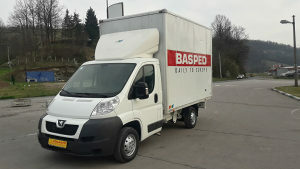 PEUGEOT BOXER 2012 G.P, 2.2 88 KW/120 KS ! VOZILO JE U PERFEKTNOM STANJU, MAKSIMALNO UTEGNUTO I OČUVANO, POSJEDUJE EL PODIZAČE, DALJINSKO ZAKLJUČAVANJE, KLIMU, NOVE SVE 4 GUME. VOZILO JE TEK UVEZENO I PLAĆENE SU SVE OBAVEZE DO REGISTRACIJE ! NAVEDENA CIJENA JE 17,000.00 KM + PDV ! VIŠE INFORMACIJA NA BROJEVE 065/529-208 BRANKO ILI 066/834-491 MILAN !